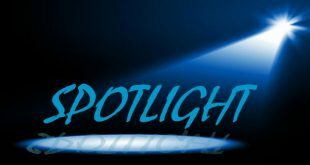 Home / Spotlight / ELF-RC: Poised for Another Round of Persecution? During the past 20 years, the ELF-RC has been subjected to a number of persecutions in the hands of the Sudanese and Ethiopian authorities, always with the support of Eritrean political actors ganging up against that organization. Nowadays, the same ELF-RC appears to be on the brink of another round of persecution unless it is averted by some miracle. This article will try to do the following: 1) narrate past persecutions of the ELF-RC; 2) analyze the current situation in which the ELF-RC protested against an imposed leadership, and 3) a short conclusion. But before delving into a few details of this story, I wish to highlight that this was not the first time for the ELF-RC to say ‘No’ when the right response had to be ‘No’, come what may. · This organization said ‘No’ to a military take-over by its military chief in March 1982 and faced difficulties. · The ELF-RC said ‘No’ and struggled against an imposed structure of a sectarian alliance (Wuhda Sulasiya) remote controlled by Saudi finance with General Numeiri’s support in the 1980s. It faced persecution aiming at its extinction. 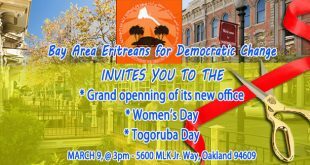 · It said ‘No’ to imposition of dictatorship in Eritrea after its liberation and called for full participation as a political body in the referendum of 1993 so that Eritrea could learn the ABC of democracy from the start. · It said ‘No’ to all Jihadist polarizers in the late 1980s and 1990s and helped in changing their wrong sectarian banners. · It resisted all ethno-sectarian tendencies and remained an unparalleled microcosm of the Eritrean mosaic and a model demonstrating that Eritreans can struggle, work and live together. 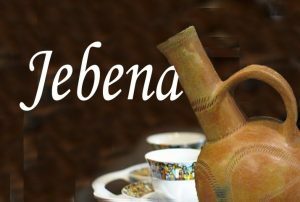 · It played its part in building the Alliance opposed to the dictatorship in Eritrea and is now saying ‘No’, come what may, to reported imposition of a leadership on an Eritrean alignment. First, what is the ELF-RC? For the sake of the young generation, I will present a brief history. Following the one-year long onslaught of the combined EPLF/TPLF forces in 1980-81, nine brigades of the ELF force were disarmed by the Sudan and kept at the Eritrea-Sudan border locations of Tahdai and Korokon, a few kilometers northeast of Kassala, waiting for a political solution by the front’s leadership. At the Tahdai-Korokon camps, the ELF was split into three factions: One was the faction that claimed to be loyal to the national democratic programme of the front and vowed to continue tolerating all political trends. It was popularly known as the ‘General Trend’ (‘Teyar al-Am’ in Arabic). The other two factions were the ones represented by Abdalla Idris (then categorized as a sectarian/tribal faction), and the left extremist faction (Betin later known as Saghem) led by people like ZemhretYohannes (today a PFDJ official) that called for an immediate congress, preferably without the faction of Abdalla Idris, the former head of the ELF army. In search of a solution for the organizational crisis, the leadership agreed to hold a wide seminar at Rassai, north of the Tahdai-Korokon camps, where Abdalla Idris’ small-armed unit was stationed. Nearly 750 participants were gathered at the seminar site. But instead of a seminar, Abdalla Idris staged a coup d’etat on 25 March 1982. The former security chief, Melake Tekle, was killed in the armed round up of the seminar participants and a few others wounded. The chairman of the organization, Ahmed Mohammed Nasser, was detained together with key leadership members (Tesfai Degiga, Khalifa Osman, Haileab Andu and Ibrahim Toteel). The factions known as Betin and Teyar al-Am at the Tahdai-Korokon camps opposed the coup d’etat. ‘Teyar’, which soon became known as ELF-RC declared its determination to defend the ELF programme under the remainder of the leadership democratically elected at the second national congress. Saghem broke in two, one joining the EPLF and the other taking refuge with TPLF to which it is attached to this day. In 1982, Saudi Arabia got interested in internal Eritrean affairs and decided to spend resources on reshaping to its favour a new alliance of Eritrean political forces. After the military defeat of the ELF, there emerged a feeling in the Middle East that the combined EPLF-TPLF attack on the ELF had a sectarian design and that a front built by Saudi-Sudanese support must be there to counter it. Saudi Arabia’s top official assigned to engineer that new political setup within the Eritrean fronts was called Abdallah Bahabri. The candidates for the projected alliance were Abdalla Idris’ ELF faction, Osman Saleh Sabe’s ELF-PLF, and the Baghdad-backed Lejna Sawriya (Adam Saleh’s old Obel group until recently known as ELF-NC). However, the ELF-RC, which was a good assortment of Eritrea’s religious, linguistic and ethnic diversity, was not wanted as partner in that unholy alliance. 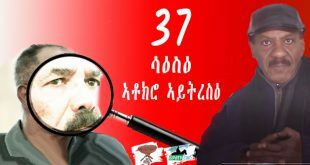 The external forces and their Eritrean allies wanted to kill the ELF-RC so that it may not hinder the growth of their new alliance that carried the name of Tripartite Union (Wuhda Sulasiya). With orders from Bahabri, who literally became the supreme leader of the new alliance, the ELF-RC was ordered either to dissolve itself or join Abdalla’s or Sabbe’s faction immediately! Period. It was difficult for the ELF-RC to join Abdalla’s coup d’etat group because, at that time, the wounds of the coup were still fresh. 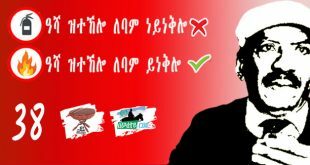 Thus Dr. Habte Tesfamariam, the vice chairman acting on behalf of Ahmed Nasser, formally agreed to join Sabbe’s faction. What the front did was to organize itself underground and keep most of its cadres and bases outside the forced union. That was how the ELF-RC survived persecutions and a chain of killings of its cadres including the heroic Said Saleh. Despite this tactic, however, 73 of its key leadership cadres who joined the ELF-PLF of Sabbe were detained at Hamboreb, north of Kassala, for four years between 1983 and 1987. Ahmed Jassir, the ELF-PLF military chief, detained others in the Gash inside Eritrea. It is important to note here for the record that many of those ELF-RC prisoners in Gash were later taken to GOE dungeons after the new Eritrean government attacked Eritrean fronts in January 1992. 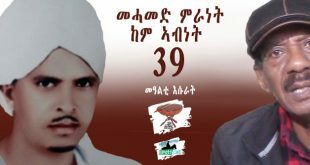 They were kept in PFDJ jails until recently, and some disappeared for good. On its part, the Sudanese security apparatus chased and imprisoned ELF-RC cadres. During 1983-84 alone, many of those ELF-RC cadres were kept in Sudanese prisons for up to one year before they were made persona non-gratta and sent to third country settlements as political refugees with the support of humanitarian organizations. 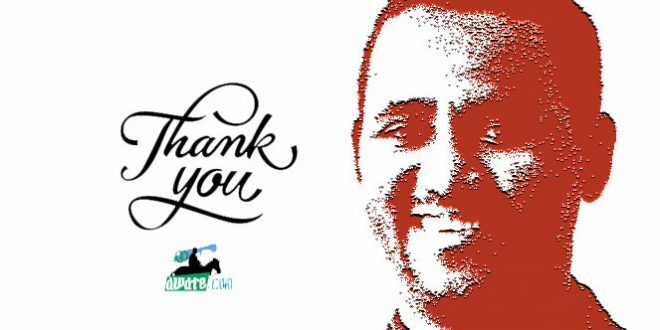 Those imprisoned in the Sudan and later expelled were: Ibrahim Mohammed Ali, Mengisteab Asmerom, Ghirmai Ghebresellasie (Keshi), Amanuel Habte, Tekle Melekin, Ramadan Saleh, Woldesus Ammar, Abdalla Omar Nasser, Berhane ‘Agame’ and Mohammed-Nur Abdu Kahsai. Property of the ELF-RC in the Sudan was confiscated several times. In 1982, the Sudanese authorities took most of what the ELF-RC had in its offices and warehouses. By the mid-1980s, Bahabri’s much publicized alliance (Wuhda Sulasiya) fizzled out and the ELF-RC re-emerged from the underground. With the coming to power and consolidation of the National Islamic Front of Turabi, fundamentalist Eritrean groups gained influence among Eritrean communities in that country. The ELF-RC was squeezed but its struggle to minimize polarization among Eritreans of all religions and regions was highly noticeable. Its persecution in the Sudan was resumed with added severity after the liberation of Eritrea. In June 1991, the Sudanese government closed ELF-RC offices and took all its property consisting of vehicles, office equipment, stores of medicines, food and school supplies for refugee schools. The offices remained closed till 1995. To this day, the ELF-RC is not the closest Eritrean front to the Sudanese government, and its movement in the Sudan was limited. An example is the ELF-RC congress that the Sudanese stopped only two days before its scheduled opening in late December 2000. (That congress was resumed in Gondar, Ethiopia, 8 months later). In short, most of the past 20 years were years of trials and tribulations for that organization in the Sudan. Some say it was a miracle to see the front surviving those difficulties. But while under constant persecution, the ELF-RC was still contributing from the underground and through its branches in the rest of the world. When the EPRDF of Ethiopia installed a transitional government in 1991, the ELF-RC negotiated and opened offices in Addis Ababa and other Ethiopian cities. When the PFDJ regime discovered that a good number of the over 300,000 Eritreans residing in Ethiopia were being influenced by the political activities of the ELF-RC, it demanded the extradition the ELF-RC. The Ethiopian government was told that Ethiopian opposition fronts would be welcome to Asmara and run radio broadcasts against Addis Ababa if the ELF-RC is not stopped from working in Ethiopia. 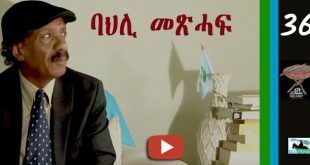 Thus, Melles Zenawi had to close the ELF-RC offices because of the stringent conditions and demands of the Eritrean dictator but he in later years claimed to have ‘made a favour to old comrades in ELF-RC’ by refusing the requested extradition to Asmara. Those who were detained for nearly a year in Ethiopia before their relocation to third countries through the intervention of UN and other humanitarian organizations were 26. For historical record as well as for those who may have doubts about this claim, here are the names of those affected by the Ethiopian detention of ELF-RC cadres in April 1994: Haile Ghebru, Berhane Tesfagaber, Abdelazziz Ahmed Saed, Fessahaye Ogbamichael, Habtom Jewani, Tesfagaber Abraham, Ibrahim Mohammed Ali, Solomon Ghebremedhin, Nuria Hussein, Tesfai Russom, Gheresum Tsegai, Mahmoud Ismail, Berhane Ghebrehiwet, Ahmed Ali, Desta Tekle, Ibrahim Suleiman, Mebrahtom Fitwi, Khelifa Taha, Melake Sereke, Abdelhalim Hassen, Tekie Tesfu, Aregai Ghebrelibanos, Tekle Kidane, Nega Zeru, Asmelash Tesfatsion and Abdu Ahmed Alnur. The crisis within the Eritrean National Alliance is an unfortunate incident that has saddened Eritreans opposed to the PFDJ regime. The immediate victim is the ELF-RC, which could now be exposed to another round of persecution in Ethiopia and the Sudan. Ethiopia lost Eritrea through our long-stretched and costly liberation war. To reverse our determination to be independent and our accumulated achievements towards victory were much beyond the capacity of any force, including the TPLF and its EPRDF. Simply put, they had to recognize Eritrea’s determination to be independent. However, the EPRDF government hoped that Ethiopia’s historical dream to have access to the sea could be worked out through Isayas Afeworki who was telling our people after liberation that he had dreams ‘beyond the borders’. Melles Zenawi and his circle hoped that Eritrea would be regained through a kind of confederation or gradual economic integration. It did not work. During the last crazy war that was instigated by the blunders of our petty dictator in Asmara, Ethiopian chauvinist groups within and outside EPRDF hoped that the much-wanted access to the sea could be attempted by the re-use of force and re-occupation of Dankalia. It did not work. In the meantime, TPLF’s old and long-term strategy designed to serve both Tigrai and the rest of Ethiopia remained intact. 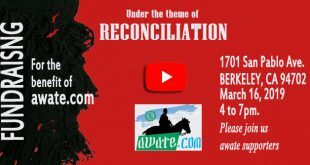 Many of its Tigrayan architects strongly believe that this strategy for Ethiopia’s return to the Red Sea through the back door will work in their favour one day. What is that strategy? I am sure every reader knows it. I will make only reminder notes. The TPLF built its Tigrayan nationalism on the right of nations to self-determination up to seccession, and this was backed by its ethnic federalism that was enshrined in the country’s constitution. The grand aim is to include parts of Eritrea in its ‘Nation of Tigrai’ project. Past attempts and hopes to make advances on the ‘Tigrai-Tigrigni’ dream did not come true, but the long-term strategy will be there. Other sub-strategies were put in place. Since 1991, other Ethiopians were convinced by the TPLF that Eritrea would be re-won through Eritreans themselves if efforts are made to build a force in Eritrea that can be a ‘strategic ally’ to EPRDF. The strategic ally would have to be married to the principle of ‘self-determination up to secessation’ in Eritrea. If not separation, the Eritrean ethnic groups would be promised at least ethnic federalism a la Ethiopia. During the past two decades, some homework has been going on by TPLF in this direction. It is being intensified now. Ethiopia may have interest to topple the aggressive dictatorship in Eritrea. That is our common interest. But, naturally, we differ in other interests. The interest of many Ethiopians remains to be access to the sea and this through weakening or wiping out the independent state of Eritrea. It is not a far-fetched concern. One better be fully aware of that lest we are caught by unhappy surprises. The Eritrean National Alliance consists of a dozen groupings which include successors of the old Saghem and the old EDM, both of which have been strong proponents of ‘struggle up to seccession’ and ethnic federalism. The two Kunama organizations and the new member of the Alliance, the Red Sea Afar Democratic Organization supports the same trend. These five groups, constituting about half of the number in the Alliance, are direct protégés of Ethiopia. Any Ethiopian regime with the above strategy can depend on them. Eritreans have the right to be concerned and even work to contain damage to the nation that can come through this stratagem. That attempt to contain this trend has been the thankless job of the ELF-RC. In addition, and according to my information, the ELF-RC has not been allowed free access to meet Eritreans in the Eritrea-Ethiopia border and in the ‘temporary security zone’ while other organizations were allowed to move freely. ELF-RC had very restricted access to Eritrean POWs in Ethiopia while others had free access to discuss with them and if possible to win them to their side. This is a fact well known to Eritreans in Ethiopia. All the five groups closely supported by Ethiopia won’t grow into big organizations as long as the ELF-RC is within the Alliance. Ethiopia’s newly found ally, Herui’s Cooperative Party, couldn’t claim followers at this stage save his family circle. And judging from Herui’s past in creating political following, observers say the Copperative Party could remain an empty name. To my understanding, therefore, Ethiopia would be happy to have the ELF-RC dead, as was the wish of Abdalla Bahabri (i.e. Saudi Arabic supported by Numeiri’s Sudan) in the early 1980s. But unlike Bahabri, Ethiopia is not in a position to order the ELF-RC to dissolve itself or to join one of the five of its protégés. That is not possible. Thus, the only thing it could do was to divide and rule the Alliance the way it did at the last meeting. Downgrading and humiliating a major Eritrean force and finally pushing it out of the Eritrean coalition would damage Eritrea’s struggle for democratization, which is of little concern to Ethiopia. The crisis was cooked up several months before the meeting of the Alliance and coincided at the very moment that a major development was planned for strengthening the Alliance composed only of the trusted ones. 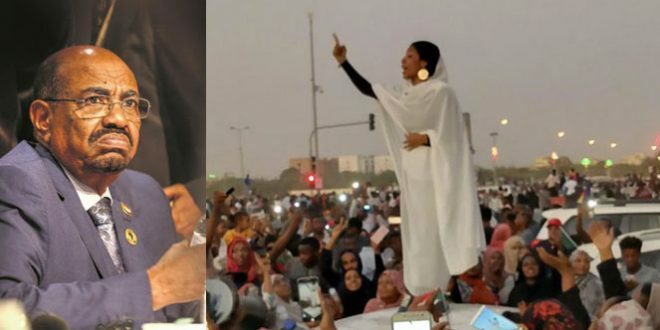 The government in the Sudan, which is still under the influence of religious intelligentsia, has its preferences of political allies from among the Eritrean organizations; the two wings of the Jihad movement are more or less its ‘strategic allies’. The ‘Jama’at-Mubadara’ is a tiny circle of well-wishing Eritreans advocating, as we all do, the inclusion of Arabic as one of the official languages and the protection of the rights of everybody, including Moslems. Then comes the faction led by Abdalla Idris, who oils his relations in the Sudan at times through ethnic ties, and at other times with religion and Pan-Arabist sentiments. (The Ba’athist old Lejna Sawriya/ELF-NC is now part of Abdalla’s faction). The ELF-RC has none of those cards in its hands. Naturally, it comes about last in the list of Sudanese government preferences of Eritrean friends. The Eritrean organizations on their part have no love lost for ELF-RC, which always competed with them, and successfully, in winning the hearts and minds of many Eritreans to its programme. If advised by the Sudanese to harm the ELF-RC, those groups, like their ilk on the side of Ethiopia, won’t wink an eye. This is what has happened in Addis Ababa. This is what has angered the ELF-RC. And when the members of the Alliance told the ELF-RC delegation that the neighbouring countries were pressurizing them and they agreed to that pressure, then the ELF-RC was in a position to understand the situation. Its anger was not against any claimed outside pressure, which is always there and had to be resisted, but against the Eritrean organizations that could not say no to the claimed pressure. The future may not be bright for the ELF-RC. It may face persecution in the region, and once again be in the run. The tasks of this stage cannot be conducted from the underground. The next step for the Alliance would be to recruit an army. This force, if ever put together, will more likely than not reflect the composition of the fronts making up the Alliance. (Abdalla and Herui will not be in a position to be attractive to the Eritrean Defense Force and other Eritreans.) The make-up of such an army established without the presence in the Alliance of ELF-RC will for sure scare any Eritrean who comes to know its composition. That fact can easily lead to a dangerous polarization of the Eritrean landscape. That will be an ugly scenario but nevertheless the lifetime wish of Isayas and cohorts. The Herui/Abdalla team is repeatedly expressing their wish to keep the ELF-RC out without filling the vacuum left by that microcosm of Eritrean society. As I see it, the ELF-RC is being pushed out of the Alliance. It should resist this. Others should come in and help stop Herui’s and Abdalla’s play with fire. Those external actors will not care for what happens to Eritrea and Eritreans. But those ‘acted upon’ Eritrean organizations better have second thoughts. Some kind of correction should be done without any waste of time. Eritrea is crying for salvation now more than at any time before. It is time for everyone to be concerned rather than keeping aloof and commenting from safe distance. A dangerous polarization should not be tolerated to take root. The civic societies and the EPLF-DP should come up in support of immediate dialogue to solve the crisis. The much-awaited National Conference should also be considered to take place sooner than later. In the meantime, Herui must resign now, and the Alliance hold an emergency meeting to solve the crisis. This kind of gesture would show our maturity as a political entity.